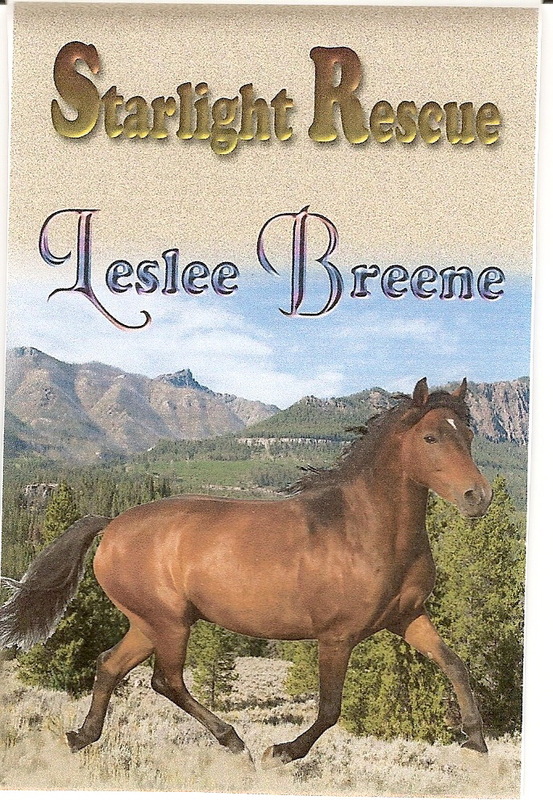 Welcome to my guest, Leslee Breene, author of the newly-published contemporary western romance, Starlight Rescue, set beneath the Wyoming Big Horn Mountains on an animal rescue ranch. Wyoming vet Kimberly Dorn fights to keep her rescue ranch from land developers. Gabe Trent, an adventurous wildlife filmmaker, offers her an opportunity to film her rescue animals for a TV documentary. The film shoot goes awry. Kimberly asks herself: If she can’t trust him with her animals…can she trust him with her heart? Leslee, you’ve written 3 historical romances before you switched to contemporary. What led you to write romances? Thank you for hosting me today, Heidi. Well, I always loved western history and I also loved romance… This seemed the logical place to be for some years. I’m a Denver native, so that played a part as well. Now I’m changing horses, so to speak, and venturing into contemporary western settings. Yes, my short stories are mainstream women’s fiction. To share a bit of shameless self-promotion: My short fiction, “White River Phoenix,” has been selected as a finalist in the 2011 WWW LAURA Awards. 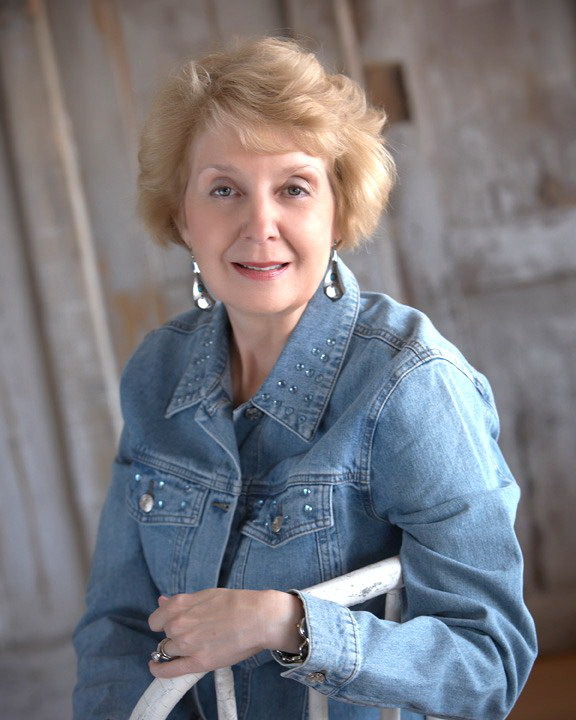 The five finalists will be judged by the noted author Pam Houston and announced at the WWW Conference in October. I am honored. Congratulations! That is an honor, indeed. A long time ago. In the l980’s, a group of writers came together in Aurora, Co., and formed the National Writers Association. I joined critique groups there. We were all pretty much novices at that time and learned together. Several from that early co-ed clan became published novelists and poets. Sandy Bechtel, Irv Sternberg and Rob Baldwin to name a few. How has your writing progressed since your first book? Has it changed you? If so, how? I hope I’ve become a better writer, of course. =) My main character is always a woman on a quest. That hasn’t changed. My goal with each book is to delve more fully into that character’s inner self, her motivations, flaws, and growth at the end of the story. Perhaps I am evolving into a more spiritually guided author, at least infusing that universal desire into my characters. Especially so in my recently finished novel, Journey to Sandcastle. I attended the University of Denver and graduated from F.I.T. (Fashion Inst. Of Technology, NYC). My work background includes a mixed bag of categories. I’ve been a newspaper fashion artist in San Fran, a Kelly Girl, an A&W car hop, a fashion coordinator at The Denver (ladies dept. store), although not in that order. Ah, that was sweet! Foxfire, 2001. I believe it was the Tattered Cover in Cherry Creek, Co. They carried my book, but wouldn’t allow a book signing as it was “self-published.” Admittedly self or subsidy publishing was verboten at that time. Now, quite a few published authors are taking that route. I’m proud of that leap of faith I had to take to put the book out there. Foxfire was a national RWA chapter award finalist before it was published. It is still available through my website: www.lesleebreene.com. I’m sure my husband bought me roses on that occasion. What do you think is the hardest part of the book process? For me, the hardest, most frustrating part is the formatting and last edits. So time consuming. Every editor has different requirements and pet peeves. What is acceptable to one is not to another. In the future, I will definitely look for a competent, reasonably priced ms. editor. If a movie were to be made from Starlight Rescue, who would you like to see cast in the leading roles? In about fourth grade, I read a wonderful book,The Five Peppers, I believe was the title. It was a charming, heartwarming story of a poor family with five children. What I remember was their efforts to make a special birthday cake for one of the members. The theme of love and support of the family impressed me the most. What kind of books do you normally read and who is your favorite author? I am very eclectic in my reading. There are so many! In earlier days, I loved LaVryle Spencer, Laura Kinsale and Maggie Osborne, all marvelous women’s fiction/romance authors. Recently I’ve discovered fiction author Jane Kirkpatrick and poet/non-fiction author Susan Tweit. It’s so difficult to name favorites because there are numerous authors I enjoy. Outside your writing and all associated commitments, what do you like to do in your free time? Free time? (She grins.) I would love to take a leisurely road trip through the Colorado mountains in the summer or fall. My husband and I have enjoyed past annual trips to Jackson Hole where he climbed the Grand Teton years ago. I’m always in awe of the majesty and beauty of that area. And, not to forget, spending time with my little soul companion, Danny, a spirited miniature poodle. Starlight Rescue, a RWA PASIC award winner, is available in Softcover through Treble Heart Books and is also available as an ebook on Amazon Kindle, etc. Also, it’s definitely nice to have my new release in softcover and about half the price of my last two hardcover books. Please visit my new website at: www.lesleebreene.com. and Amazon Ebook Kindle. PINOLE, CA — Want to be recognized by your peers as the literary genius you are? Then enter this year’s National Punctuation Day contest — the Punctuation Paragraph Contest — and your masterpiece of prose will evaluated by an esteemed panel of judges following the September 24 celebration of the annual holiday that encourages worldwide literacy. Entries will be accepted at Jeff@NationalPunctuationDay.com through September 30. 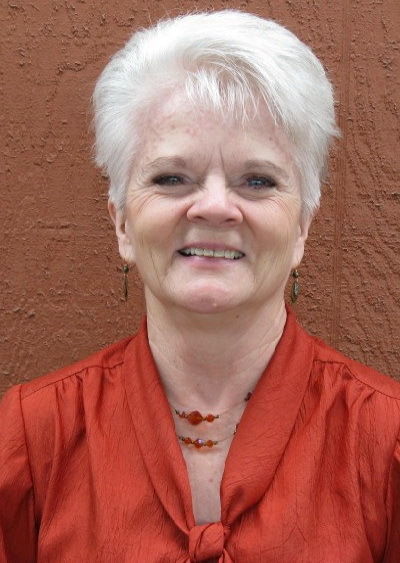 My guest this week is Louise Lenahan Wallace, award-winning author of four novels and many short stories and articles. Her newest novel is Day Unto Day. How important is research in writing your historical novels? Another of my writing goals is to make the time and place of my novels as accurate as possible. If one of my characters uses Gold Medal flour in 1870, and the reader happens to know it wasn’t sold under that name until “Superior Flour” won a gold medal at a flour exhibition in 1880, my story loses historical credibility, in spite of all my research. A small detail? Yes, but rest assured, if there is an error, someone, somewhere, will find it. In my reading, I have come across such mistakes; they leave me feeling deflated. Having discovered inaccuracies, how can the reader believe in the rest of the story? Where do you find your characters? I actually have to smile at this question because of the profound—and unexpected —influence research has had on creating my fictional characters. Having decided early on that I wanted to include historical background in my writing, I formulated my research requirements. I decided that I would not include any fact as historical unless I found two references that agreed. If I found two differing opinions, I searched until I found a third one that verified one of the first two. If I was unable to find a third reference, I did not include it in the story. 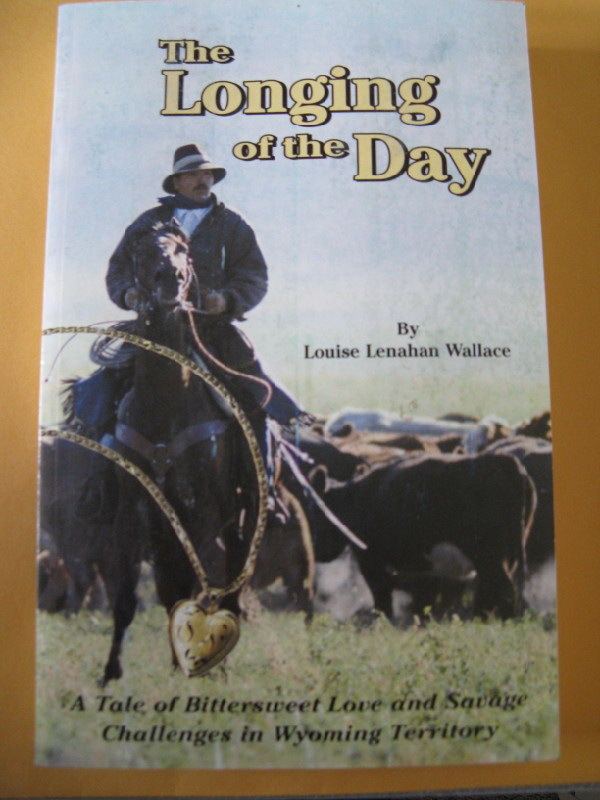 As I was checking the historical details for my first book, The Longing of the Day, I stumbled across the fact that, during the Civil War, the Sixth Ohio Volunteer Cavalry was sent west to Fort Laramie in Nebraska Territory. The troopers’ duties included erecting additional forts and protecting the Overland Stage Road from increasing Indian harassment resulting from the transfer of the regular soldiers east to fight in the larger war. Even as I sat looking at those few lines of information, a blurry picture formed. Quiet, peace-loving man… joins Ohio Volunteer Cavalry… finds himself in far-off Nebraska Territory, fighting Indians….As with all my research, I sought a second notation to verify the initial information. After an extensive, fingers and toes crossed search, I found one further, short reference to this apparently little-known incident. Even as I breathed a heartfelt thank you, my blurry picture leaped to vivid life. What would he see, how would he participate in the day-to-day events of the war? How would his wife and children, left behind to keep the family farm going as best they could, conduct their daily lives? How would they fare emotionally as they waited for weeks at a time for news? From a few lines in a book, come upon so unexpectedly, that speculation became my third novel, Days of Eternity, published in 2007, which led to its sequel, Day Unto Day, published in 2010. Serendipity—such a lilting word!—in a very large way. You’ve done some non-fiction writing as well. Which do you prefer, and do you find one easier than the other? I enjoy writing fiction—novels and short stories—and non-fiction articles and essays. One makes a pleasant break from the other when I reach a spot that just refuses to say what I want it to, no matter how many times I revise it. (It happens, even after so many years of writing!) My short fiction story Night Shadows won a commendation in Aesthetica Magazine’s International Competition last year. I have written several non-fiction articles, including A Faded Card, which was published in Chicken Soup for the Single’s Soul. My biographical stories, Chris’s Legacy of Laughter and Eight Letters received finalist awards at the Pacific Northwest Writers Competition. The Windows of His Heart: Chief Joseph of the Nez Perce won a second place award in the Wyoming Writers Competition. I research the historical details for my fiction books as well as for my non-fiction writing. I’m definitely a “trivia” person, and take special delight in those “aha!” moments of discovering some new fact or date. Maybe that’s why, for me, research is fun. Like a squirrel, I store nuggets of information that don’t fit my current project but, surprisingly often, come in handy later on. You’ve been fortunate to find publication acceptance with small publishers. How has that experience been as opposed to possibly self-publishing or trying for the larger publishing houses? At the time of my early attempts to find a market for The Longing of the Day, self publishing was considered a pitiable, last-ditch solution by authors who were unable to find a company that would accept their manuscript. “Vanity Press” or “Published by Author” credentials were an all but certain guarantee that the “real” publishing world would turn up its nose at any such work. This included tacking “self-published entries not accepted” onto virtually every list of contest rules. The burden of such restrictions was, of course, added to by the fact that snail mail was the system of the day. There was no e-mail to speed up the process of sending out a manuscript, with a return envelope included, and then having to wait, sometimes for two or three months, for a “does not suit our publishing needs” mimeographed response. Fortunately, much has changed since then. While I was searching for a publisher, I came to feel, after numerous rejections in which it was clear that the company had not even read my submission, that the larger eastern publishing houses had little interest in viewing submissions from writers “out west.” Spurred on by this awareness, I began to concentrate my efforts on the smaller, newer presses. Even this route was not without its bumps—and lumps. In response to my submitting The Longing of the Day, that had already won an unpublished novel finalist award at the Pacific Northwest Writers Competition, one small press publisher told me that my “setting is vividly real… characters are superbly crafted…plot is a real page-turner…but…it’s not good enough for my publishing house. I’m certain, however, that you’ll have no problem finding a publishing house with lower standards than mine, who will be glad to publish it.” A little daunted, and admittedly more than a little confused, I slogged on. Eventually, I found Ogden Publications, a small press in Topeka, Kansas, that most happily published it. The first printing of 1500 copies sold out in six weeks and went into a second printing. They also published my second novel, Day Star Rising, in 2001, a year after the first one. Unfortunately, they downsized their publishing operations, and are no longer doing full-length novels. Both earlier-published novels, however, are still selling, more than a decade later, as are my third and fourth novels, Days of Eternity, published by Treble Heart Books in Arizona, and Day Unto Day, published by All things That Matter Press in Maine. I am currently working on my fifth book, Children of the Day. Like the Perils of Pauline movies of old, it clears up What happens next? curiosities from the earlier books, and poses a few more snags to be sorted out in my characters’ lives. Write for yourself. Write what feels right to you and someone will be interested. Write what you know. In addition to careful research, I have woven incidents from my family history into these stories, just for fun. A name or date here, an aunt or uncle’s “I remember the time…” there, of no significance to others, but immediately recognizable to my relatives, who lost no time in assuring me and telling others (unintentional word-of-mouth publicity) how tickled they were at recognizing my selections. In Day Unto Day, I drew heavily upon my personal experience to shape the character of Rose and her physical, spiritual, and emotional reactions to the aftermath of her illness. And yes, the skunk story in The Longing of the Day really happened—to my mother and grandmother. (My apologies, Grandma, for letting the skunk out of the bag after all these years!) Above all, be persistent. In the twenty-five years before my first novel was accepted, I received enough rejection slips to paper two walls. One might say I’ve written the book on that. But that’s a story for another day. Perhaps Day By Day…. Louise’s books include Longing of the Day, Day Star Rising, Days of Eternity and Day Unto Day. These books are available through her website www.louiselenahanwallace.comand on Amazon. With the Civil War behind them, Ethan Michaels, a widower with a young daughter, and Larissa Edwards, whose husband was killed in the war, look forward to living out their days on the family farm in Ohio. Fate, however, has other plans. Larissa’s daughter survives a deathly illness, but with tragic, far-reaching consequences. Larissa and Ethan have planted their marriage in the rich soil of shared love, but when someone from Larissa’s earlier life appears, the roots stretching deep into their separate pasts yield heartbreak that threatens to destroy their new-found happiness. Welcome, Louise. 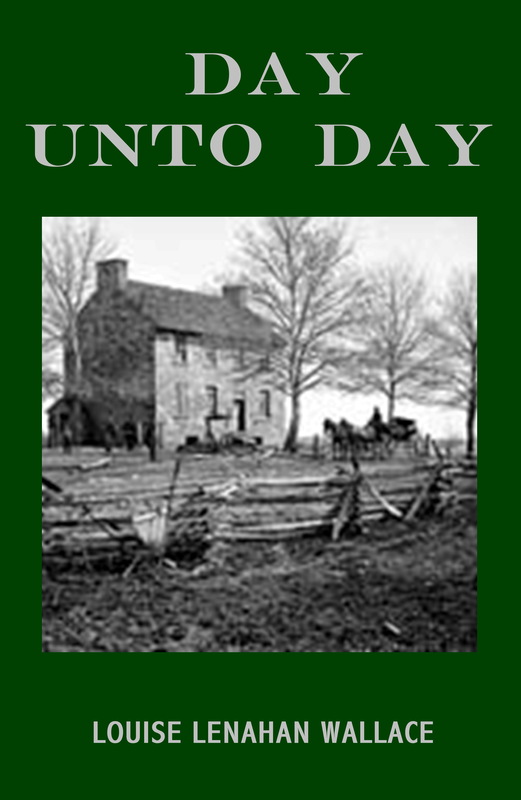 Day Unto Day is a sequel to Days of Eternity, a novel of the Civil War. How did you come up with the idea for this series? The first two books, The Longing of the Day and Day Star Rising, take place in Wyoming Territory in 1886-1887, during the “Winter of the White Catastrophe” when blizzards killed off the cattle herds and ended open-range ranching. Days of Eternity and Day Unto Day take place in Ohio before, during, and just after the Civil War. 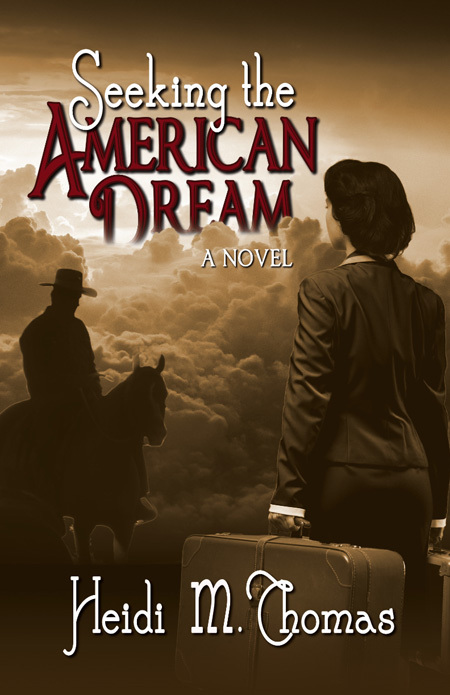 Although each of my novels is able to stand by itself, the characters from the third and fourth books “meet” the characters from the first two books, thus providing a twenty-years-earlier glimpse into the lives of the Wyoming Territory folks—their hopes, fears, and dreams at the beginning of the trail that leads them to a June evening in 1887. I started writing when my older daughter was five and my younger daughter was three months old. I wanted to do something as a way to take time for myself, yet remain at home with my children. When I was growing up, before falling asleep, I entertained myself by mentally creating characters and spinning stories around them. I recall that one such saga continued each night for a year as I kept adding more storyline and additional folks to the mix. It is, undoubtedly, fortunate for the reading world that I never wrote it down. I now remember only bits and pieces, but all these years later, I can still feel the joy and anticipation of executing the next chapter. When I started writing down my stories, I never dreamed that I’d actually get published. Nevertheless, I found it to be a great comfort in moments of stress and life-changing circumstances, even when my characters became ornery and wouldn’t do what I told them, but went their own ways. It took a while to get used to them taking over, but when I let them, their version of the story invariably turned out better than mine. I take directions from them much more cheerfully, now…. How long did it take you to be recognized for your writing and to get published? Although I won several short story and nonfiction awards over the years, The Longing of the Day, my first book, took exactly twenty-five years from the time I started writing it. I know, because I actually received and held the first copy in my hands on my birthday (a glorious way to celebrate!) in August 2000, just one month before my younger daughter turned twenty-five. You have a strong faith-based theme in your books, but you are not just “preaching to the choir.” Your books would appeal to all types of readers. How important is that to you? Men and women, teenagers and eighty-somethings, have read my books. Many readers, when telling me how much they enjoyed them, said they became so immersed in the characters’ lives, they felt they were actually witnessing the scenes. One reviewer said of Days of Eternity, my second book, that “… the scenery she paints is rich; one can easily imagine the wagon that creaks down Main Street or the sheets crackling in the wind on Larissa’s line.” The reader’s sense of being there is deeply important to me. One of my goals is to portray ordinary people, going about their day-to-day lives, who suddenly find themselves in extraordinary situations—ones that could happen to you or me. The American frontier’s unwritten code decreed that a man’s word, once given, was as unbreakable as if he had signed the agreement in stone, no matter what circumstances might later befall him. In The Longing of the Day, a family raises a little boy as their own son after his parents are killed in an Indian raid. Now grown to manhood, having lived with this code and seen it in action all his life, Matt is forced to choose between love and loyalty, honor and desire. The devastating blizzards of 1886-1887 caused hundreds of ranchers to lose most or even all of the herds they had spent a lifetime acquiring. In many cases, these owners had to start from square one to rebuild their livelihoods and their lives, even while bankruptcy from the losses loomed over their heads. In Day Star Rising, Will, a young rancher who has been jilted by his fiancée, becomes a reluctant participant in a range war—this one a battle that will shape a new way of life from the bleaching cattle bones of the old. 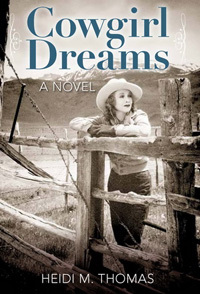 Hannah, deserted by her husband, is left to raise their four young sons and keep her ranch going as best she might during a time when even seasoned cattlemen are going under. Trapped in a briar patch of circumstance as they struggle to rebuild their lives, sharp-thorned vines of suspicion, cultivated by narrow-minded townspeople, coil about them. 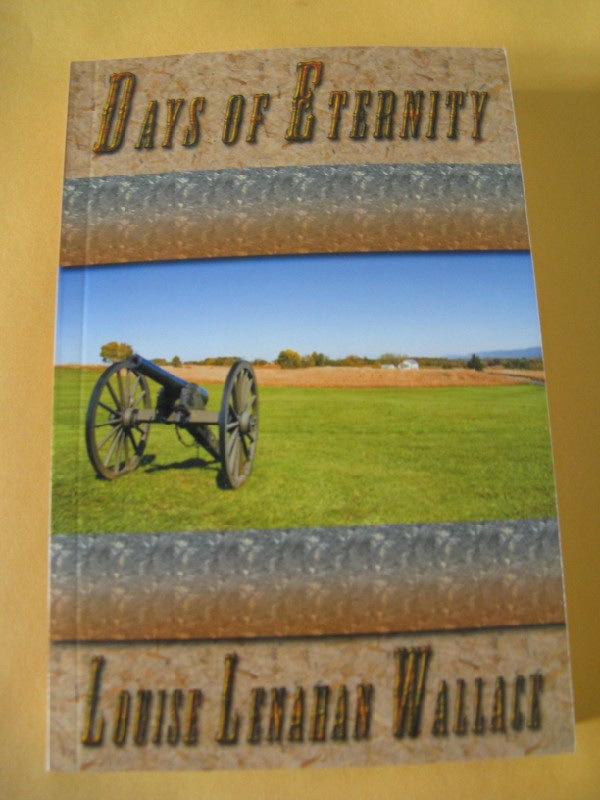 In Days of Eternity, Zane, an Ohio farmer planning to live out his life quietly, suddenly finds himself thrust into the Civil War and its attendant violence, while his family waits at home day after day, not knowing if he will ever return to them. In Day Unto Day, a couple copes with the tragic consequences of their young daughter’s illness. Rose survives, but because medical knowledge in 1866 is limited, she is doomed to a bleak future. In seeking the means to return her to her rightful place as a productive member of society, her family discovers that the soul has many ways of speaking, but the heart must listen carefully. During this period in history, many people put a quiet reliance upon their faith to get them through difficult situations. Sometimes, that belief was all they had to lean on. That’s how I’ve portrayed my characters. Without a lot of fanfare, faith is as much a part of their everyday existence as wind, blizzards, drought, and the vastness of the stars on a hot summer night. Please stop back tomorrow as we talk to Louise about research, publication and the writing process. 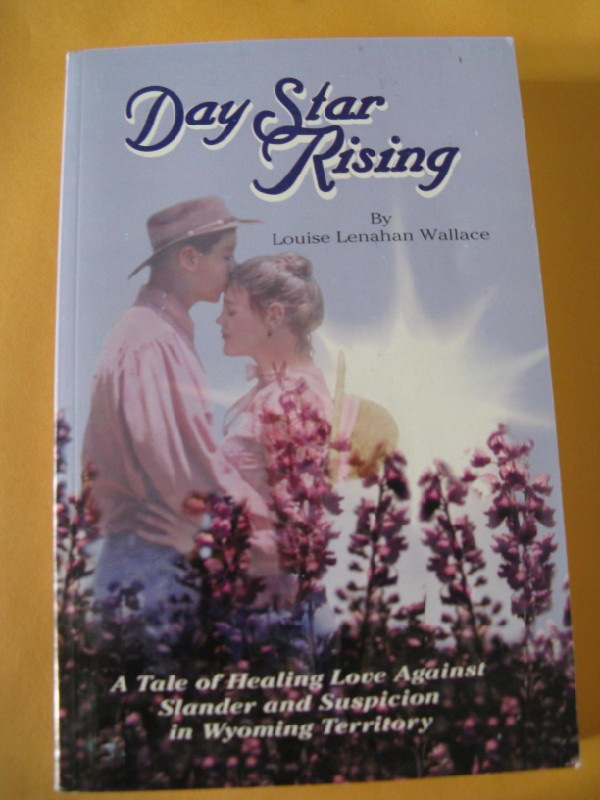 Louise’s books include Longing of the Day, Day Star Rising, Days of Eternity and Day Unto Day. These books are available through her website www.louiselenahanwallace.com and Amazon. 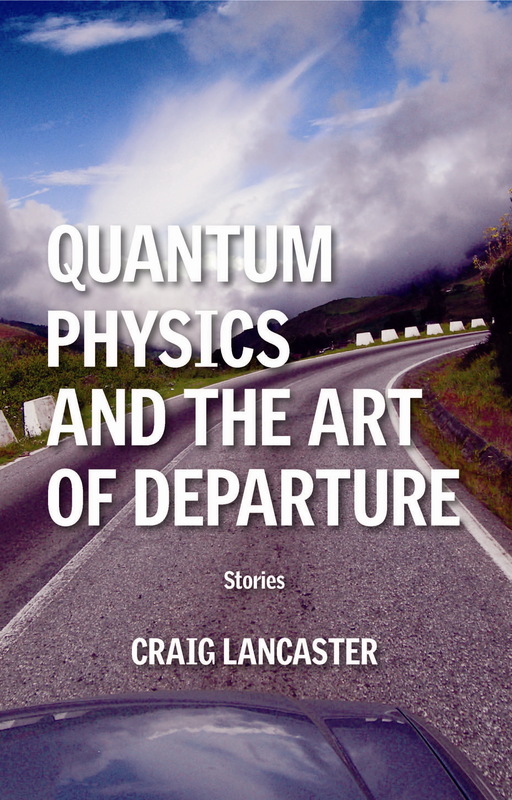 Craig Lancaster, whose novels 600 Hours of Edward and The Summer Son have been featured here, has a new book coming out in December: Quantum Physics and the Art of Departure, a collection of ten short stories. Select the format you want and enter this coupon code at checkout: EY63S. The offer is good Sept. 15 through Sept. 30. Feel free to pass this information along to your friends. Q: First of all, why are you offering free copies of the e-book? After two novels, my experience is that word of mouth is the best advertisement for a book, so I’m hoping that folks who read Quantum Physics and the Art of Departure before its release will be kind enough to give me an honest review wherever they spend time, be it with friends, at Amazon.com, BN.com, Goodreads, LibraryThing (or all of those places!). I can’t emphasize the bit about honesty enough: I’m not trying to engineer good reviews, although I certainly won’t turn them down. The important thing is to get responses, good or bad, from people who are passionate about books, so other people who share that passion might be inclined to take a look. Q: Why did you shift from novels to short stories? It wasn’t a conscious choice. I write nearly every day, and last fall, after I turned over my second novel to my publisher, I hit a particularly rich vein of short fiction. I also managed to retrofit a couple of failed novel projects into successful short stories. Fortunately, I’m not writing to fulfill a contract, so I have the freedom to follow where inspiration takes me. For nearly a year, I ended up with short stories. So … here they are. And now that this book is done, I am back to work on a couple of novel ideas. So there’s really been no shift – just a slight deviation. Q: What’s the deal with the title? It’s a little inscrutable, but I like the lilt of it, and I promise, there’s title justification within the body of the book. One of the ten short stories shares the title. Q: Is there an overriding theme to the stories? A few of them are connected, and all of them take place in Montana, where I live. If I had to identify a unifying theme, it would be this: separation. Not just in the marital sense – although that’s certainly in the book – but also in the emotional and physical senses. The stories vary in style and subject matter. I think it’s an intriguing collection. A championship basketball coach caught between his team, his family and the rabid partisans in his town. A traveling salesman consigned to a late-night bus ride. A prison inmate stripped of everything but his pride. A teenage runaway. Mismatched lovers. In his debut collection of short fiction, award-winning novelist Craig Lancaster (600 Hours of Edward, The Summer Son) returns to the terrain of his Montana home and takes on the notion of separation in its many forms – from comfort zones, from ideas, from people, from security, from fears. These ten stories delve into small towns and big cities, into love and despair,into what drives us and what scares us, peeling back the layers of our humanity with every page. 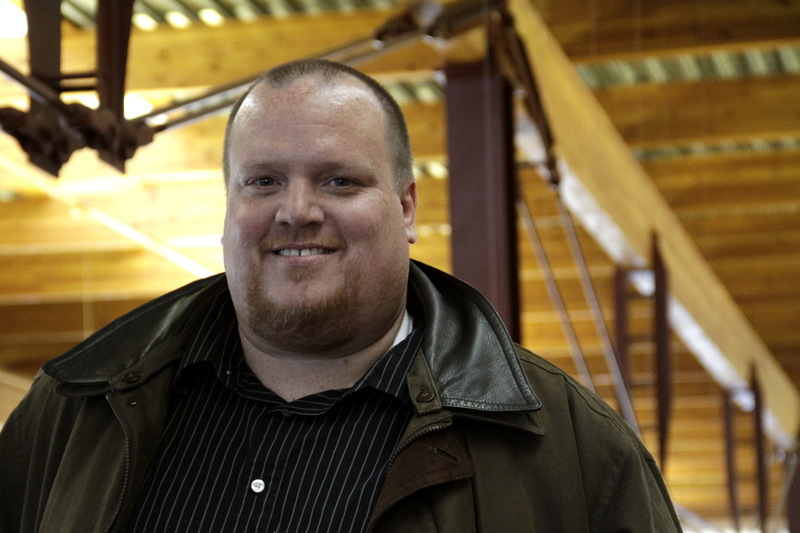 For more information about Craig Lancaster and his work, please visit his website. Janet Squires is celebrating the fifth anniversary of her children’s picture book with a dynamite Blog Tour. Be sure to leave a comment and you will be entered into a drawing for a $50 gift certificate! 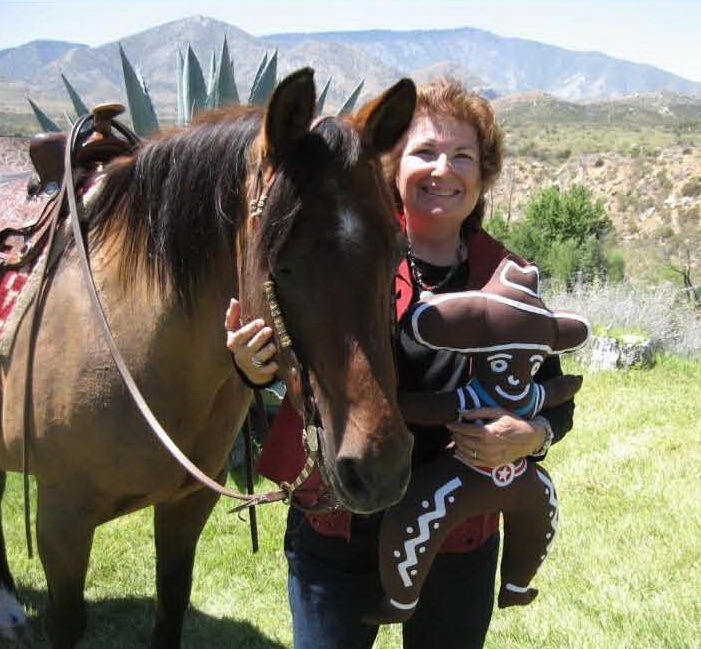 The Gingerbread Cowboy was declared the Arizona Governor’s 2007 First Grade Book and a special edition of 100,000 copies was printed for distribution to every first grade student in Arizona. The Gingerbread Cowboy can run from the rancher’s wife, he can dash past the javelinas, and he can giddyup right by the cattle grazing on the mesa. But what happens when he meets a coyote sleeping in the sun? Welcome, Janet. Thanks for stopping by on your tour. I will select one name at random from people who comment on this blog tour post to receive a $50 dollar gift certificate to OutWest Marketing, an online store for shoppers who are wild about the west. The Gift certificate will be good for 60 days and include a 10% discount and free shipping so be sure to leave your email contact information. Tell us a little bit about your book? 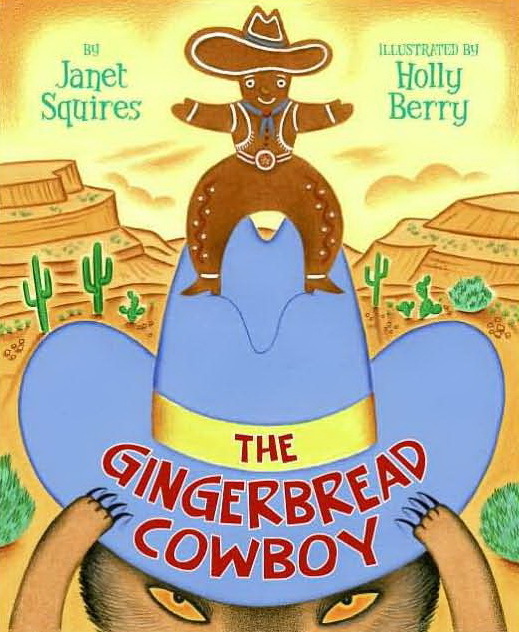 THE GINGERBREAD COWBOY is a Wild West Version of the classic Gingerbread Man story set in the American Southwest — home of roadrunners, javalinas, coyotes and of course cattle and cowboys. THE GINGERBREAD COWBOY, was declared the Arizona Governor’s 2007 First Grade Book and a special edition of 100,000 copies was printed for distribution to every first grade student in Arizona. My first published work was a poem in my High School Anthology. It wasn’t Shakespeare, but my parents were proud. I began my professional career writing articles for several regional and national magazines. I wrote both fiction and nonfiction. Eventually, I won the Los Angeles Pierce College 5th Annual Writers’ Conference Award for Outstanding Magazine Article. Why did you make the change from writing for adults to writing for children and how did you come to write The Gingerbread Cowboy? That’s a question I hear frequently when I’m doing school visits. Here’s what I tell my young audience. I work part time as a Library Media Specialist for an elementary school so I spend many hours in the company of children’s literature and read hundreds of picture books to my young patrons. Along the way I learned to admire the ability to tell a story in less than 1000 words. I couldn’t resist trying to write a picture book. Then the question became what should I write? Every year I read The Gingerbread Man to all of my school’s kindergarten classes. I’ve read the story so many times that I know it by heart. When I’m not being a library specialist or a writer I’m a cowgirl. It didn’t take long before those two thoughts came together and I knew I wanted to write a story about a Gingerbread Cowboy. I’m writing a series, GRACIE JANE, about a plucky young cowgirl, and her sidekick Fifi La Rue. There’s a Wild West Fairy Tale and I currently have a nonfiction book in the works. I’m also putting the final polish on a historical novel for adults. What attracts you to writing about the West? The West is bred in my bones. My grandfather ranched near Prescott and my dad was born in Humboldt. Most of my family still lives in that local area and many of my family can be found in historical references or are named among the remarkable Arizona pioneer women honored at the Sharlot Hall Museum’s Territorial Women’s Memorial Rose Garden. Although I was born in California and currently reside here, I consider Arizona my second home and grew up spending my summers there. It was a perfect childhood…waking up in a creaking brass bed to the sound of my Dad chopping wood for the stove my grandmother cooked on…bathing in a tin tub brought into the house for that occasion…running free in the hills with my cousins among the cattle and horses. What do you do for fun when you take a break from writing? When I’m not putting pen to paper in search of my next story, I’m on horseback exploring the hills or working with cattle – a natural enough pursuit for a gal whose family pioneered their way West by covered wagon from Texas to Arizona. My husband and I share our free time with our two daughters and four dogs and count ourselves lucky to live where hawks still sail overhead by day and coyotes serenade at night. Janet will select one name at random from people who comment on the blog tour post to receive a $50 dollar gift certificate to OutWest Marketing, an online store for shoppers who are wild about the west. The Gift certificate will be good for 60 days and include a 10% discount and free shipping so be sure to leave your email contact information. My guest today is Monte Alkire, author of the inspirational book, Rope Your Dream, which I enjoyed reading very much. I think this book is an excellent basic blueprint for anyone who is looking to define a goal and pursue a dream. Welcome, Monte. Tell us how the idea for this book came about. 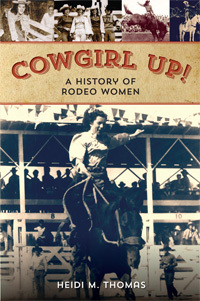 The book is a direct byproduct of learning to rope. I discovered that I had to learn the technical aspects of roping as well as how to compete. I greatly underestimated the time and effort to accomplish my goals. As I struggled I began to read and study everything I could get my hands on about accomplishing goals and competing. I was especially interested in professional athletes and very successful business people. I started clipping and keeping articles and making notes on 3X5 cards. I kept these cards in my truck and would review them preparing for competition. Often my traveling partner and I would be discussing a topic on the way to a roping or rodeo and I would say: “Dig out the stack of cards, look for the one on … (“obstacles,” for example), does that help”? Eventually I had over 125 cards and they were unwieldy. Someone said, “You should put this in a book.” I scoffed at the idea at the time, but eventually, that is how I got the book started. What made you decide to take up team roping in your mid-fifties? I wanted to rope all my life. I got my first horse when I was five, a Welch pony. I cannot remember any time when I did not want to learn to rope. Other normal priorities kept it on the back burner… there were few cowboys in Michigan where I grew up. Then there was college, marriage, children, Army, children, job, children, college for children, job and so on. Finally, my wife and I were home alone. I met a new friend with an arena, some steers and no roping partner. I was off and running. How did you overcome your age and lack of experience to become a top hand? In a word: Work! I am not yet a top hand, still hope to be one some day. My goal to this day is to become the best cowboy I possibly can with the time I have available. 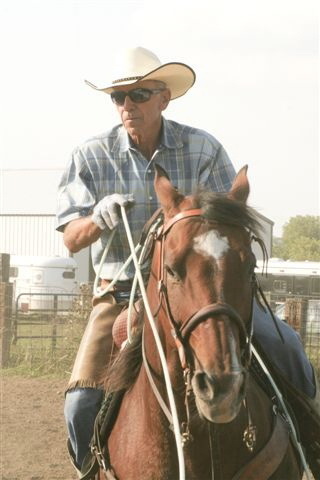 For my roping, I study, practice, get professional help, practice, set goals, practice, ride my horses, practice develop my horse’s skills, practice, and constantly look for new approaches to learn. No, Heidi, I have not always been a writer. I took the required English courses in school and college and that was about the extent of it. My strengths were math and science so the writing was a challenge. I wrote the book over a period of five years, much of it trying to condense and simplify what I had to say. A wonderful editor cleaned it up for me and did not modify one thought. 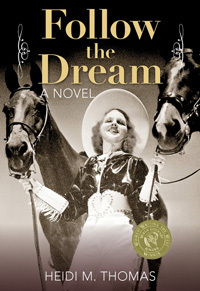 What in your background prepared you for your career as a roper and then later as an author? I always wanted to be a cowboy and to rope. Horses have been special to me all my life. My parents taught me values, respect, and created in me a strong work ethic. I believe those are key factors enabling me to learn to rope. My fundamentals in English were a big asset, yet left me woefully unprepared to write in “good English.” I bought some books to study English again. One of my schoolmates, third grade through college, had written a book and he too was a big asset. Of course, my wife Harriet was and still is a constant source of encouragement and help. She would always read and critique, no matter how many times I asked her. You define the word “courage” in your book. Why does it take courage to pursue a dream? Courage is necessary to overcome FEAR; that is the Fear Of Failure. Most of us cannot or will not even acknowledge our fear. It is subtle, often subliminal and if permitted, it will completely stifle our initiative. For many it is easier to sit on the sideline, and not risk defeat or failure. The risk and fears come in play when writing a book. Will I finish it? How will I publish? Will anybody buy it? Will I be able to recover the publishing cost? These are unknowns for most authors. Still, think of the all the great books you have read. We have to face the fear and manage it. John Wayne put it this way. “Courage is being scared as h___ and saddling up anyway.” I like that; that is why it takes courage to pursue a dream. You also talk about “passion.” Do you think that is a must-have ingredient in working toward success in any endeavor? I don’t think it is essential, but it sure makes the journey much more enjoyable and satisfying. I successfully completed many assignments and goals that just had to be done. The goals and assignments I really had a passion for were enjoyable and very satisfying. These goals, where passion is “in play,” bounce you out of bed in the morning and put a spring in your step as you leave the house. They cause you to whistle, smile and greet people in a friendly way. These goals cause us to walk straight and tall, study late at night or early in the morning, and just plain enjoy life. These are the goals we live for. “Focus” and “Persistence” are also two components in this journey toward success. Why do you believe that is true? Life is full of distractions. It is usually difficult to make the time available to accomplish a specific goal. Focus is important to staying on track. I believe if you’re not improving, you are regressing with respect to others in your area of endeavor. Many around us are going all out to improve. Focus can keep us in the forefront of our activity. That is where I want to be. Persistence is crucial, because sooner or later as we go along, we will fail. This may be a large or small element of our goal, but it will happen. It takes persistence to overcome these setbacks and keep trying. Think of a baseball player and how often he strikes out, yet goes on to succeed. We need similar persistence. We must mentally acknowledge that things will most likely go wrong in our journey, and be prepared to react in whatever way is necessary. In team roping, typically 40% of the teams are eliminated in the first round. Most events are 3 or 4 rounds. We must learn to come back just as hard or harder at the next event. It is the same with trying to master a new technique. It can take a year. Developing a good roping horse takes several years. Persistence will test the passion, but offers great rewards. Success at this time is continuing to improve. My goal is to offset, or balance for a while, the aging process. 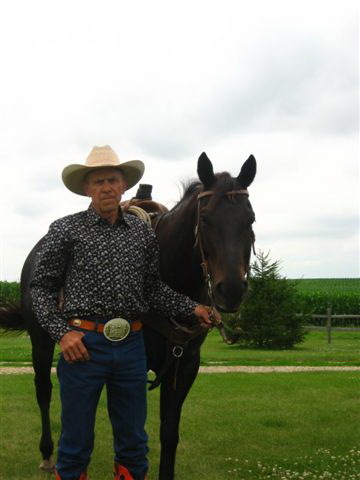 My three major approaches are to improve my roping skills, keep physically fit and strong, and improve my horses. The horse is the enabler in roping events. The better he is; the better I can be. I truly love developing horses for all ranch work, so here comes my passion into the equation of success again. Today was a good example, I rode for four hours on two horses with three friends. The common denominator: we all love our horses and want to improve our roping. I roped well and my horses worked well. Today was a very successful day for me. Are you working on other writing projects? I have no new writing projects at this time. 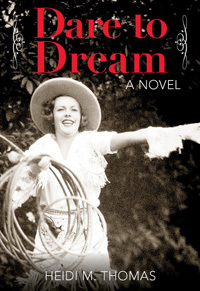 I have collected several more important additions to sections of “Rope Your Dream” which I use for my own reference, but have no plans to publish at this time. Do you still participate in team roping? Yes I still rope several times a week. Had an injury this summer, broke and cut a finger roping at a ranch rodeo. Back to practicing on a regular basis now and first roping event this coming Labor Day Weekend. 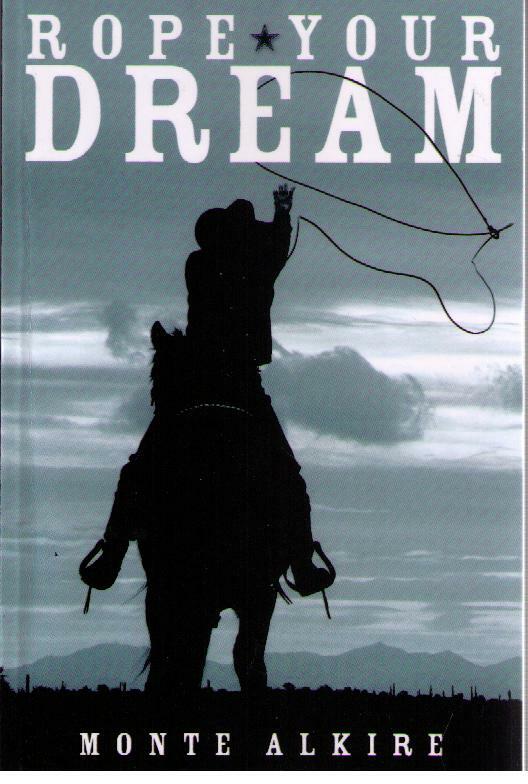 Congratulations on pursuing your dream in roping and on publishing your book! Thanks for joining me.